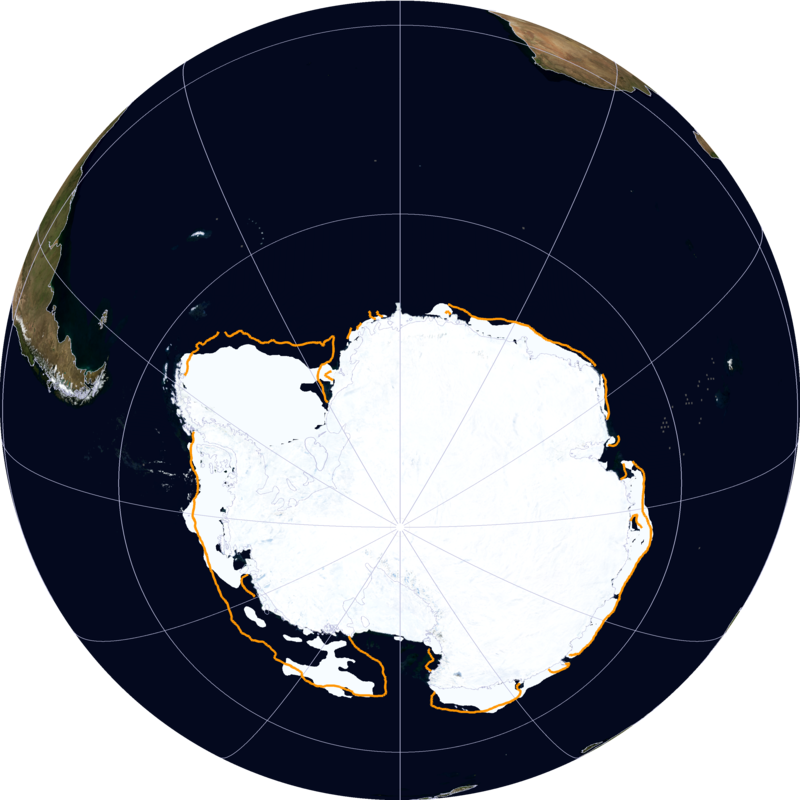 New all-time satellite-era record for Antarctic sea ice extent | Watts Up With That? 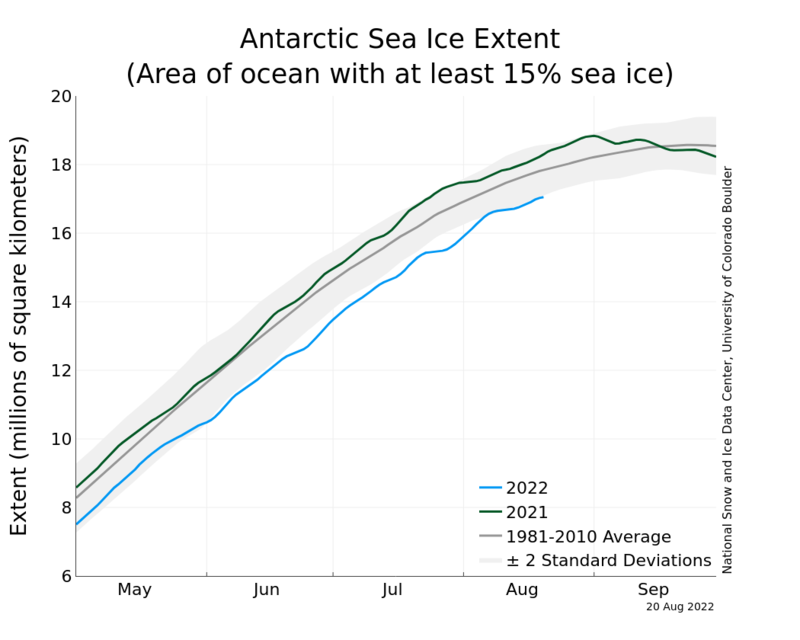 The Antarctic Sea Ice Extent on Sept 13 2014 may have set a new all time record (at least for the satellite era, we don’t have data prior to that). Sunshine hours writes: Antarctic Sea Ice Extent Sept 13 2014 – 1,121,000 sq km above the 1981-2010 mean. Data for Day 255. Data here. Breaking the record set in 2013 by 48,000 sq km. September 13, 2014 in Antarctic, Sea ice. with the “Turn”date fast approaching, the MAX level is likely to stabilize over the next week prior to the “CORNER” when ice levels begin do decline. There are likely to be a couple of even higher level recordings over the next week. Once it turns the corner we will be plagued with scare stories about melting Ice. Around about the time Ban Ki Moon is boondoggling with all those heads of state to try and save the planet ….. on Sept. 23rd I believe …. “Worst in History!! !” etc. As if nothing happened before we had Satellites. Thanks, Anthony. Flying on a private jet, Al Gore could not be reached for comment. Looks like a good use of a Bak missile. Then blame the Russians. For the satellite era [like, since I’ve had a Master’s ticket] this is weather.
. Like – just weather . . . . . . . . I a m an old fart, but this proves nothing. It may prelude a cooler spell of twenty to fifty years, but it may not. I l i k e warmth – but I do not know if we will get this in 2014 to 2024 (say), despite obviously rising CO2 levels. I hope we will have warmth. I look forward to the in depth reporting of this by the BBC on Monday morning. Ahh satellites, those pesky devices that present the “inconvenient” truth. The challenge for the warmists is how to spin the data to fit their theories…The problem is all that instant, accurate reporting. Doesn’t that mean it’s broken the record every year for the past three years? Yes. But the highest from 2012 is #18. Extent is in millions of sq km. #40 2006 is first before 2012. #78 1998 is first before 2000. Extent means something, since it changes the albedo to more reflection, less absorbtion which makes it colder still. Some simple geometry should apply…but probably not. Extent = Area + ‘holes’ ; the area of water that the ice actually is spread out on. Volume = Area x ‘thickness’. Now if area and/or extent are ‘up’ then by definition, so must volume increase. It doesn’t matter if it the thickness is 1 mm or 10 m, it WILL increase the volume, if the area/extent are increased. Looks like a long walk for the penguins. Polar bears should be happier, tho. Wonder what’s happening at the collapsed Wilkins ice bridge? And this is the problem for the IPCC, albedo. Most of their models projected a decrease in extent. Expect a paper out soon showing a new model result projecting an increase AND decrease as well as staying the same. Is there anything that co2 cannot do? While the death spiral in the north seems to be taking a pause. The days of mass shame is drawing near. It’s all worse than we thought. You are somewhat correct. Extent is a volatile indicator. But, it is still a useful measurement. The Volume is also increasing. Look at the 2013 minimum, it set records for being the maximum of the satellite record minimums. The sea ice didn’t melt it thickened therefore the volume increased. http://psc.apl.washington.edu/wordpress/wp-content/uploads/schweiger/ice_volume/Bpiomas_plot_daily_heff.2sst.png to see the surprising rate of thickening! Note that a similar SST anomaly pattern to last years, is in place once again, so North America may get some degree of repeated polar vortex excursion pattern once more this winter. And if you look at the mid and upper level winds you can see that the winds are already beginning to replicate last years classic blocking pattern. I pointed the Antarctic record setting extent some time ago during an argument. My opponent said that while extent was increasing, volume was decreasing. I asked incredulously how they would even know this. He said they could measure gravity. I conceded that might be possible. I asked to see data but never heard back. Anyone have any thoughts/references/data on this? It seems highly doubtful that extent would grow while volume shrinks (more than doubtful), but … who knows. That’s the old “It’s the land ice that matters for Antarctica” reason. There’s been several threads on it on here, if the satellite (GRACE?) 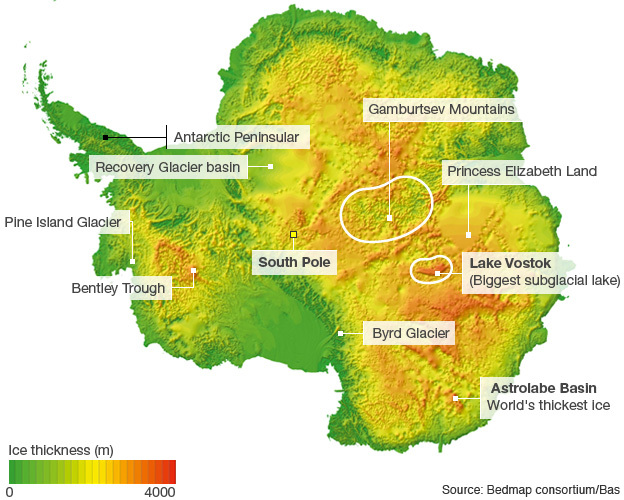 is measuring correctly, there is loss of ice mass on the Antarctic continent. According to theory, sea ice should be shrinking too, but it’s not, so our attention is turned to the “important” metric. I’ll search on here for GRACE and ‘Antarctica volume’, thanks. I agree that the important point is that sea-ice extent growth contradicts ‘the theory’. You can’t point to A, B & C and go “look that matches the theory!”, but then ignore E, F, and G that directly contradict it. When it comes to science and theories, the contradictions are more important. Check here but take it all with a grain of salt as it’s the usual suspects doing the work. Hmmmm, it seems the pattern is that when something clear and easily measured contradicts “the theory” (i.e. ice extent), you move on to data that is muddy and measured with great difficultly instead (extremely minute changes in gravity). “Since the measured change in gravity is so small, there are many corrections.” I believe this is what is referred to as pathological science. Science that relies on measurements where ‘signal’ is easily swamped by ‘noise’ and ‘corrections’ allowing you to ‘see’ things that don’t actually exist. I don’t see how ice volume over the continent could have decreased significantly since temperatures never go above freezing. It doesn’t make sense to me (i.e. ‘Sublimation rate suddenly increased dramatically? Why?). Still I’d be interested to read more. CryoSat2 confirms GRACE’s data using altimeter readings. It just depends on whose peer reviewed paper you read. This one says ice mass is increasing. Take your pick. So the jury is still out. But one factor to take into account: SkepticalScience says Antarctic ice volume is falling off a cliff. On the principle of Falsus in uno, falsus in ombibus, we can assume that SkS is going to be proven wrong, as always. ‘Falsus in omnibus” should be their motto. If Antarctic ice is in fact declining [very doubtful given the rapid, years-long increase in surface ice], then the reason must be that changing ocean currents are eroding the undersea ice, because there has been no acceleration in global sea level rise. So there must be more to it than what GRACE putatively shows. Recall that when the ARGO buoy network showed the deep oceans cooling, it was promptly rejiggered to show the ‘correct’ situation. Same thing with GRACE – it was ‘adjusted’. The gatekeepers know they must show something alarming, or their jobs may be in jeopardy. Cui bono? must always be asked. I believe what we observe: very rapid multi-year ice increases. GRACE has been ‘adjusted’. You can believe what you want, but the two have yet to be reconciled. Smokey, Cryosat2 was launched around endpoint of the study you cited, not to mention that GRACE has three additional years of data to look at. Try and keep current with up to date data. It could be true, but it feels like desperation. It’s not even clear if the ice-loss would support global warming (i.e. what is the mechanism exactly to cause this increase since temperature never goes above freezing over the continent?) To ignore obvious data with a long history (ice-extent) in favor of pathological data (lots of noise, lots of corrections) with a very short history. Well, what else can one conclude except this is a strong case of confirmation bias at work. It feels a lot like the hotspot debate where warmists decided to put their faith in proxy data of dubious quality (wind speeds) above ACTUAL direct measurements (direct balloon temperature measurements). Or the ‘pause’ debate where ‘suddenly’ the heat is going deep in the ocean when no one had ever previously predicted this was a likely scenario. – tree modern-temperature divergence (trees only make good thermometers for the past). – tree correlation inversion (cause and effect is irrelevant). – urban heat island effect. (correcting for this would be in the ‘wrong’ direction, so we’ve decided it doesn’t exist). – hot spot (direct balloon temperature measurements show it’s not there – so we’ve decide to ignore balloon data and use wind data). 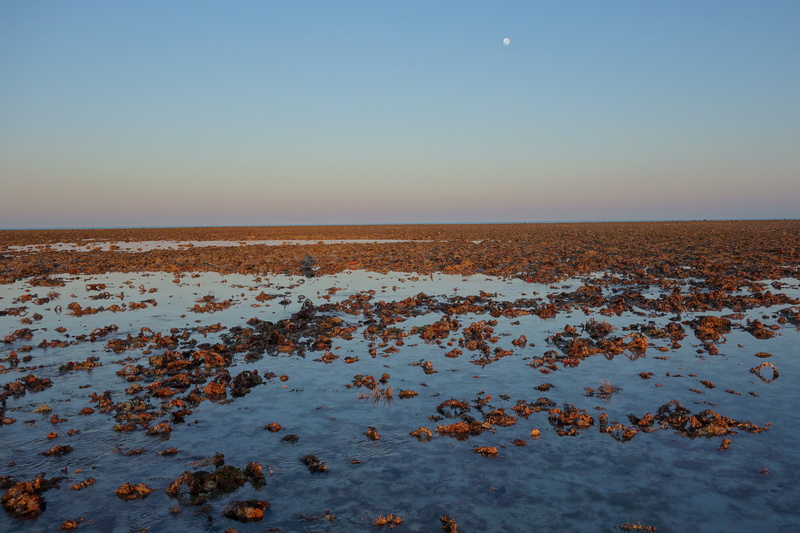 – the ‘pause’ (the oceans ate it and in a way that can not be tracked down). – Antarctica ice extent (this directly contradicts the models … sooo we’ll stop looking at it and look at some thinning that we think might have occurred instead). And these are only the ones I know of. This is will be a good study in pathological science for future generations. Cryosat2: 3 years of data. Miniscule changes. I mean -3 gt per year for East Antarctica and the coverage doesn’t get within 215km of the pole. The rate of ice loss claimed is very small compared to the total (but the total is such a big number that the ice loss sounds significant if taken out of context). When someone tried to say that the loss was due to global warming, I provided two links. One showed that Antarctic temps not only have not gotten warmer but have actually dropped a insignificant amount. The other link was a peer-reviewed paper detailing newly discovered geothermal activity in Antarctica. Then I asked him for any links to research showing global warming was responsible. He never responded. Gravity measurements are completely useless for measuring the volume of sea ice which is quite thin and floating on water. They are in principle the best method for measuring the thickness of ice on land, but suffers from the absence of reliable isostatic data from Antarctica, i. e. knowledge about the movements of the bedrock underneath the ice. This has to be modelled which means that there is a lot of ucertainty about the figures. Your opponent added the ice sheet over the continent to the sea ice surface area. West Antarctica is apparently losing mass, but sea ice is gaining it as far as I can see. So let’s imagine there is a rogue wave that slips under all that ice on the Weddell Sea and east to the Prime Meridian, cracks the ice near the coast, and sets it free. Also, that the hole in the ozone layer let more heat in and now that we have banned CFCs we have saved the Antarctic. For that is a more useful spin. Nice spin. Now try to figure out how the low salinity water ends up offshore East Antarctica, which happens to be gaining mass? all of that new ice is warmer than the old ice. I also get the impression that ice CREAM is also getting warmer than before. I am not a scientist, but I would think that volume cannot decrease at the expense of extent, because the temperature at the periphery of the outer edges of the ice is higher than in the middle, where the volume is the greatest. Since the outermost parts of the icecap must by definition be thinner, they must melt faster. Someone, please correct me if I am wrong! I think it’s possible for there to be more ice loss over the continent. The ice over the ocean can come from the ocean itself and is very dependent on temperature. The ice over the continent comes only from snow (of which there is very little in Antarctica). There is almost no snow to begin with and ice loss over the continent can only happen from wind ablation and sublimation. So there would have to be an increase in one of those to explain it and this may or may not be related to temperatures. Hmm, good explanation. Since the majority of Antarctica never has temperatures above 0C, how can any ice melt? So I guess we need a wind record to decide if mass loss is realistically possible. Just read that the measured low temp record for Antarctica is -128F. And the measured satellite low is -135F. This record is almost 50F colder than Arctic records. “Grace” is subject to many potential errors. For one example consider that Volcanism is active in Antarctica. Grace cannot help but be affected by changes in the mantel. Tilo, the ice melts if it contacts water above 0 degrees C. This can happen. I wouldn’t worry too much about it, there’s a tendency to hype it. I am sure the BBC will say record high ice extent in the Antarctic is not inconsistent with AGW! 1. It’s the wrong kind of ice. It’s Lying ice! or was that the Eagles. See, one can’t believe their Lying Ice! How about waiting to see the actual data over the next few weeks rather than speculating ? says the data is here…. Why, are you expecting a sudden increase in temperatures, right in the middle of a 3-month-long Midnight? The “actual” NSIDC data says it is a new record. However, there are 2 – 3 weeks up ahead where an even higher record could be set. In 2013 records were set on days 257, 264, 271 and 273. So far in 2014 there is only data up to day 255. Its OK, within a month the media will be able to report that the Antarctic is losing sea ice. Tiny Tim sang about melting ice caps back in the 60s when almost no one was thinking about global warming. https://www.youtube.com/watch?v=1se9xbRRZL8 I never thought I would be reminded of it by a climate blog in 2014…. That was almost 50 years ago during a cooling period. But you can BET, if it were setting a record minimum, that they’d be saying ‘since 1979,’ as if the billion years before that were all meaningless to the equation. I have a serious question. Is the temperature warmer or colder there now? 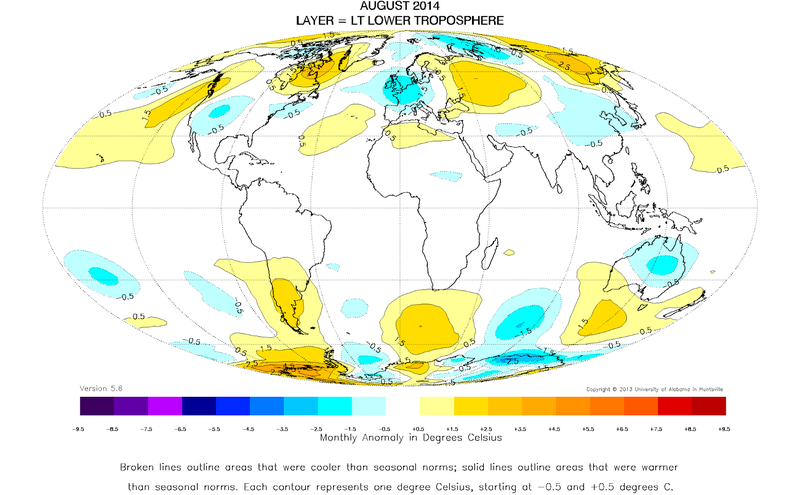 Kind of puts the whole global temperature anomaly in a new perspective doesn’t it. The warming is marginal, and disputed, however SST have declined. “Extreme” weather – just as predicted. Kerry and company will wiz off to Patagonia aboard Air Force 0.420 and have a photo op to call for the Strategic Air Command to bomb ICE (Islamic Contra Extremists) back to the Stone(d) Age. Any loss of Antarctic ‘land ice’ is due to it marching itself off to the sea, and/or volcanic activity in certain areas warming the water enough to cause some melt from beneath. But what is the average daily temperature there? So loss of land ice is not happening because of anything man has done. HOLD ON A MINUTE !!!!! Have not CO2 levels over the last 40 years been on a steady upswing?? But wait; we have been told by the AGW folks that higher CO2 MUST cause higher temperatures. So how can the Antarctic ice extent have grown in recent years? I know; the AGW DENIERS have PHOTOSHOPPED the satellite images and have produced a hoax image. Of course, there can not be any other explanation. Whew!!! For a brief moment there I almost smashed my hockey stick against by car’s windshield while wearing my Mann U t-shirt. If neither air nor sea temperatures around Antarctica are warming, how can ice volume loss – if a reality – be linked in any way to warming? It might just be compressing down. Yeah, but if it weren’t for global warming, the southern cap would be to the equator by now. It’s WORSE than we thought. Thanks, Sunshine, even though I don’t personally like ice. support your point. Lets see what happens. Actually, the last graph I showed doesn’t support Sunshine’s point; it shows more extent for the end of September 2013.
shows August as a clear record. Congratulations for the Ice Team! Your link is by a writer who then links to… her own article — as her authority! Sorry, that fails the credibility test. It is nothing but an opinion, perpetrating the global warming scare. The fact is that global warming has stopped, and not just recently. Global warming stopped many years ago, therefore all those who predicted that global warming would continue [and even accelerate] were wrong. Do you understand? They were WRONG. All of them. Question: why should we place any faith in people who were flat wrong? I would rather put my trust in the group that was right all along: scientific skeptics. They never bought into the ‘carbon’ scare, and it turns out they were right. They are the ones you should listen to — not the climate alarmist crowd, who turned out to be completely wrong in all their wild-eyed predictions. But suit yourself. If runaway global warming is your religion, there is not much anyone can do to convince you otherwise. It’s quite terrifying when you put it in such brutal terms like that. Basically if we stand on the HAT high water mark for about forty years we’d run a real risk of getting splashed on the lower ankle? But the most devastating thing of all would be perpetual prune toe … the humanity. Becky, I might take satellite sea level seriously when they explain why it mostly happening in one spot. Just curious Becky, are you the same Becky that authored that piece? And as a comment, I notice that same article claims that “97 percent of scientists who agree that humans are causing global warming”. That is a complete fabrication. No study/survey/poll has ever suggested that this is true. They all manipulate the data to select for “climate scientists” The Zimmerman/Doran study sent a survey to more that 10000 earth scientists, got more than 3000 responses, and had to reduce that number to 75 out 77 “climate scientists” to get their magic 97%. Conflating 75 out 77 “climate scientists” into “97 percent of scientists” seems a bit, shall we say, untruthful? …there is a clear disconnect here. It is just about impossible to fake the Antarctic ice extent, or sea ice area. And ice depth measurements are constantly being done on the Antarctic continent; too many international organizations track those metrics. Those have been growing very rapidly year over year. Also, global sea levels are not accelerating — certainly something that would have been measured, if Antarctic ice volume had actually declined by ≈one-third, as claimed by GRACE. There is a clear disconnect between GRACE, which has been “adjusted” [just like the ARGO buoy array, when ARGO showed deep ocean cooling], and ice area and extent. That disconnect must be resolved. Cui bono, and Falsus in uno, falsus in omnibus. When someone’s job depends on seeing a situation only one way, that’s the way he will see it. He might even “adjust” things… in the interest of job security. No ice for thousands of kilometers, thank goodness, except in my drinks. Got my heat on in the house here in Wisconsin and just got done with a mountain bike ride and my fingers are numb….hard time typing. Come to think of it, since they’ve installed windmills around here it’s been getting colder and the Antarctic sea ice is increasing…. There must be a grant I can get to prove this theory? Maybe I will do a plot kind of like a hockey stick showing Antarctic ice increase vs wind mill installations. Basically, from 2003 to 2010 the paper shows (Table 1) that the Antarctic ice ‘thickness’ decreased by 165 gT (giga-tonnes) (plus or minus 72 gT), where one metric tonne is the mass of a cubic meter of water, so a giga-tonne would be the mass of a cubic kilometer of water. (So gT and km^3 units are interchangeable). Now, for comparisons, there are approximately 25.6 million gT of Anarctic ice and 1.3 billion gT of water in all the oceans. So, assuming that _all_ of the ‘missing’ ice thickness melted directly into the ocean, the resulting annual increase in SLR would be about 0.4mm, or between 0.25mm and 0.65mm using the error uncertainty. But it’s not clear to me that the ice thickness decreased because of melting, in view of the temps below freezing. Perhaps some of sublimated directly into the air, or perhaps it was somehow redistributed such that it makes up part of the increased ice extent, which would tend to mitigate the SLR risk. The satellite was launched in 2002, so the site has data from 2002 to present (Aug 2014). The scientific mission of the satellite is very interesting and challenging. GRACE deduces changes in the thickness of water and glaciers and ice caps (GIC) from changes in the gravitational field above. More water/ice increases pull of gravity and thinner water/ice reduces it. But changing air mass (due to pressure changes) also affect the readings, so that has been adjusted out using available weather data. Other sources of noise have also been filtered, with the intent of creating ‘solutions’ which reflect only the disturbances caused by the ice fields. The data itself is just a set of the final adjusted-computed “equivalent water thickness” anomalies (in cm units) for half-degree grid cells over the world. The anomalies are measured from the average thicknesses measured between 2004-2009. The current GRCTellus Land grids are not suitable to accurately quantify ice mass changes over Greenland or Antarctica, or glaciers and ice caps. These regions require region-specific averaging kernels, as well as proper treatment of signal contamination from nearby land hydrology and adjusted GIA effects. We recommend the paper by Jacob et al. (Nature 2012, full citation below), for a thorough discussion of these aspects. So my take on this study is that while the GRACE mission is certainly valuable and provides very useful data for research, there is still a lot of noise and uncertainty in the data collected so far. And the estimated 0.4mm annual SLR (giving the “fully melted” interpretation full benefit of doubt) doesn’t seem to be cause for great alarm, IMHO. …. Antarctic ice ‘thickness’ decreased by 165 gT (giga-tonnes) (plus or minus 72 gT) per year …. CryoSat (Launched on April 8, 2010. Measuring the thickness of polar sea ice and monitoring changes in the ice sheets that blanket Greenland and Antarctica. The satellite flies in a low Earth, polar, non-Sun-synchronous orbit at a mean altitude of 717 km, reaching latitudes of 88° north and south, to maximise its coverage of the poles. The main data product is the ‘Level-2’ product, sometimes called the Geophysical Data Record. This contains the surface elevation along the ground track together with all auxiliary data needed to fully exploit these measurements. With an animated graphic showing the 2010 to 2013 progression (October). According to Nansen data it looks like Arctic has hit min on 11 Sept.
Will take a few more day to be sure. I recently said 9th +/- one day. Looks like I missed the bull’s eye. they show that late 60s to 77 is a sharp drop in antarctic sea ice extent and then a recovery up until now. sea ice extent has been abused by alarmists because the arctic is responding the way they think it should. the antarctic on the other hand is an enigma that they scramble to answer with crap like grace. it seems history is ignored for the much more uncertain 3 year slabs of modelled data. Has anyone seen the Koch Brothers or the lunchroom ice maker? Climate scientists need to send a technician up to the satellite pronto to perform needed, ahem, adjustments. Barring that, maybe they could filter the rogue data to ensure that only the finest data, worthy of the name climate science, are used to produce official records. Call me unimpressed. Now don’t get your knickers in a twist. I am equally unimpressed with low ice records. What keeps my mind occupied is whether or not I get to make red tomato sauce or green tomato salsa this fall. It looks like green tomato salsa. I was hoping for red tomato sauce. Just sayin. So you disagree with the GRACE experts and think the loss is _greater_ than 165 gigatonnes per year (compared to the total of ~25 million gigatonnes already on the ground in the Antarctic)? Where do you find support for that? But these experts seem to be assuming that any “missing” ice must have all melted directly into the ocean. So it appears the SLR estimates could be further adjusted downward , not up, to allow for sublimation and redistribution of ice as additional likely explanations for the thinning? I agree that the magic of climate ‘science’ means that no matter what change its ‘proof’ even if that change goes against all the claims made using the models to date. Life is so much easer when you can have heads you lose tails I win has your research approach. Never fear – the BBC are right on the most important ‘Environment’ stories of the day – including a new robot that can load your dishwasher and the size of monkey’s brains. Record Antarctic sea ice? Not so much. Why the small black areas along the coast of Antarctica for the last 3 weeks. They did not exist in the last 3 years maps at this time of year. They cannot reflect thin ice at the coast because it has to be thicker than ice out at the sea edge. 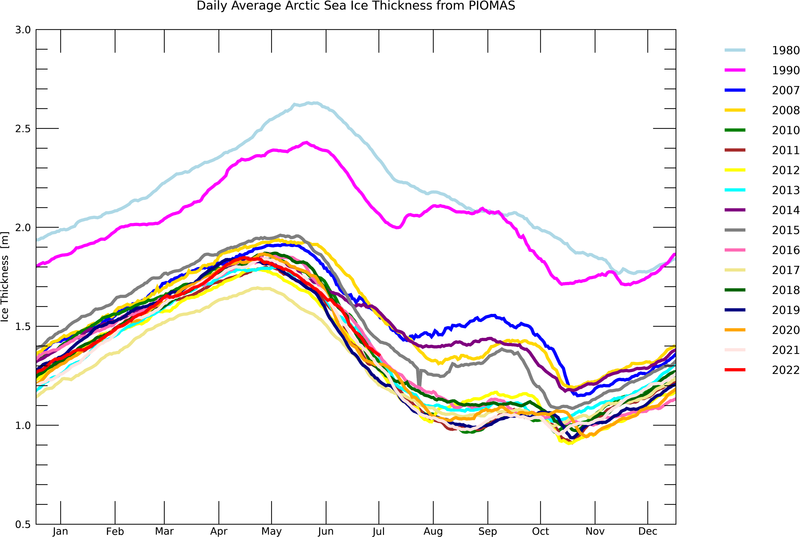 If the areas are being worked out from these graphs then they would not be showing some ice that should be being recorded. Does anyone have a programme to map the actual outer area and work out ifthe ice extent (without these black patches) is actually even greater than the last 3 years and is being artificially reduced. Anthony, in the Arctic I believe that when clouds hide some of the outline falsely low records have been given in the past. 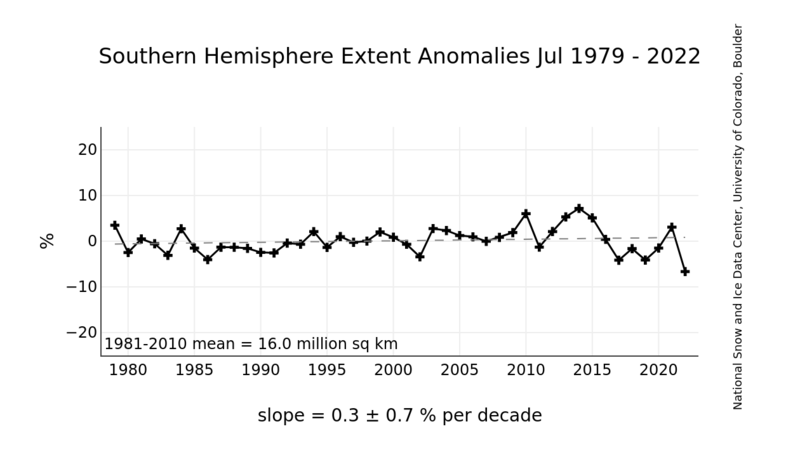 Does anyone know if these areas of reduced ice have been shown in past years (I have been wrong before) and secondly is the sea ice extent Antarctica derived from the data that makes up these graphs? Recovered NIMBUS satellite pictures from September 1964 place the Antarctic sea ice extent at 19.7M km2 (about the same as today’s record of 19.5M km2 when that record is extrapolated across the whole month of September). These numbers are supposed to use the same methodology. Paper from Walt Meier of (at the time) NSIDC, occassional commenter on WUWT. Thanks, Bill. #1 in reading list now. Watched a an ABC24 news report today about a couple of warmer nutjobs speaking about getting ready to ship south on Aurora Australis next summer. They explained how the imaginary “hotter atmosphere” was making antarctic winds stronger via a mechanism which creates the naughty deception of record sea ice growth within the southern ocean. They also lamented how this imply awful heat was going to play havoc with getting through the pack ice again this Summer and how it may again delay or block transit and resupply. But rest assured, they’ve no doubt at all that Antarctica itself is “rapidly melting”. Which was a bit hard to grasp at first, but the ABC reporter dutifully assured us that this was completely true nonetheless, and should be most ardently believed by all right-thinking people. This propaganda sorts of minimizes the facts from the satellite data, and been two years now Southern hemisphere sea ice extent growing and above average, now at record. I tried to checked the webpage for date modified, but no time stamp, despite, other caching on web says that page was saved at least 58 times between Feb. 4, 2012 and July 19, 2014. Lets all focus on the Arctic with a deep freeze on data record stopping a few years back. Over very much longer haul (lets ignore solar cycle 24 gripping next decade – colder), Antarctic and southern hemisphere has reached/past max TSI from sun by changes in earth’s precession and obliquity, for next 10,000 years … reversing .. going into colder summers and warmer winters in south, opposite in Northern hemisphere. Perihelion during summer in south now or turning point past in middle ages, odd Antarctic should be melting now. Does not matter, would not trust 100 years of temperature data for trend versus natural variation, noise statistically insignificant with cherry picking points for propagandists. 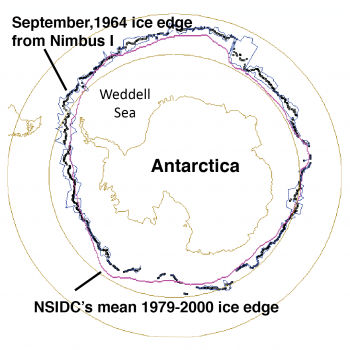 Too bad NSIDC will pretend or ignore Antarctic is not at/near record high sea ice for public. What is the absolute maximum for the Satellite era? It looks like it is being shattered. The sea ice mean line is several times thicker than the latitude and longitude lines. To better see the bias in the wordage of this blurb imagine how it would be written if the situation were reversed. So, imagine that there had been a small but steady annual decrease in sea ice over the entire continent except for an increase in the Antarctic Peninsula. As of today’s update (which I believe has Sept 15 data,) the extent is continuing to merrily increase, and likely is setting further records. Time for another headline and update? Fan, T., C. Deser, and D. P. Schneider (2014), Recent Antarctic sea ice trends in the context of Southern Ocean surface climate variations since 1950, Geophys. Res. Lett., 41, 2419–2426, doi:10.1002/2014GL059239.